A record number of people have signed up for Veganuary - setting them selves the challange of swerving meat and dairy for January and beyond. It's nutty, fudgy, gooey and sweet. 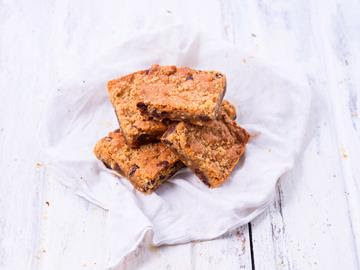 Our take on the decadent blondie with smooth peanut butter and vagan chocolate chunks. Vegalicious! Well, what do we have here? 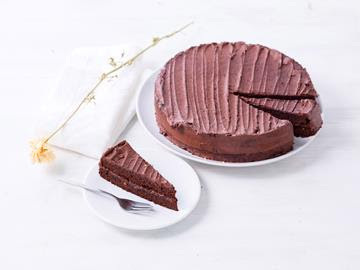 Our vegan chocolate and raspberry cake is a rich double layered chocolate cake filled with raspberry jam and covered in a vegan chocolate butter cream. Pass me the fork, I am going in! Flapjacks - Raspberry, Blueberry or Trailmix. 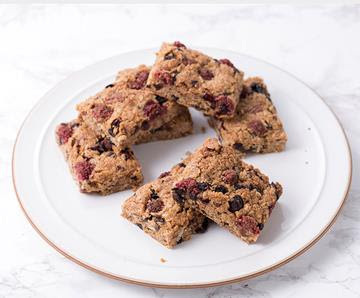 Classic, chewy and good for your soul, Our vegan flapjacks are simply delicious and hard to beat (if we do say so ourselves). Available in raspberry, blueberry or trailmix - take your pick! 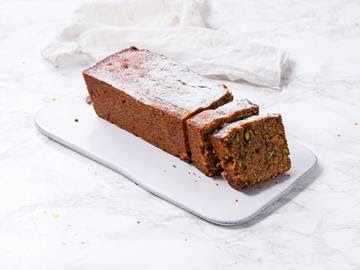 Our gluten free and vegan pistachio loaf cake is not to be missed, packed with fruit, ground almonds, whole pistachios and a hint of spice! A perfect way to beat those January blues. These delicious dark chocolate cupcakes are filled with raspberry preserve and finished off with a dark chocolate vegan buttercream. Tempted? Wishing you all a wonderful 2019! !